Nelson “Bo” Burton, Jr. is a member of the Professional Bowlers Association (PBA) and American Bowling Congress (ABC) Hall of Fame. 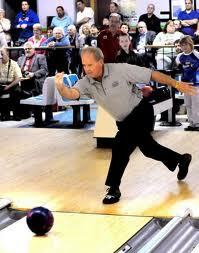 He won his first championship in Louisville in 1964 when he was just 22 years old and won 17 PBA tournaments during his career including the 1978 BPAA U. S. Open, the 1976 Masters and the 1978 AMF Grand Prix of Bowling. Bo set a scoring record for four games in a tournament final in 1984 with a combined score of 1050 (278-279-257-236), which stood until Bob Learn Jr. topped it. It marked Burton’s last tournament victory. He was named the Sporting News Player of the Year in 1970. Bo went on to become the TV color analyst along with Chris Schenkel for PBA tournaments from 1975 to 1997, when ABC Sports ended its coverage. He was nominated for an Emmy in the sports analyst category in 1982, 1983, 1985 and 1987.